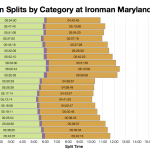 This week we have two US races to review and first up is Ironman Maryland. 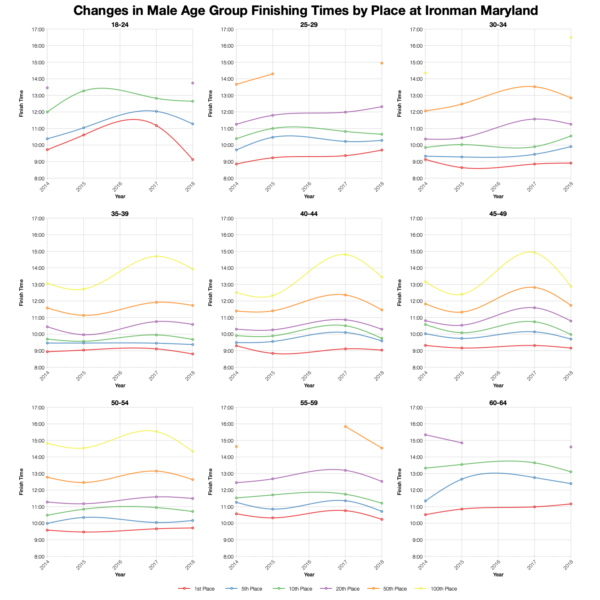 Maryland has had a mixed run of luck so far with both 2015 and 2016 having to be altered impacting both race times and entry numbers. The race is mid-size with a field of over 1,400 athletes and it comes with the standard 40 Kona slots for the 2019 Ironman World Championship. As mentioned there have been course adjustments in the past and for that reason 2016 results have been excluded from this analysis. I have included 2015, but the swim was shortened and does skew that section of the analysis. 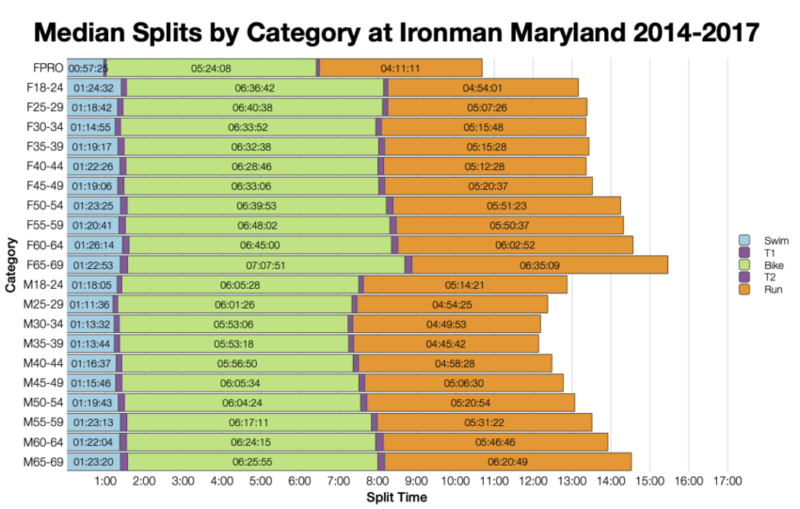 As noted, 2015 skews the swim times so we can’t really compare that data, but for the rest of the race distributions from this year’s race are quite similar to the past. 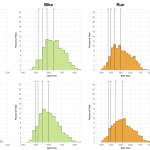 It does trend very slightly slower at the median on both bike and run and this means we see that in the overall results too. Not a huge change, but present. 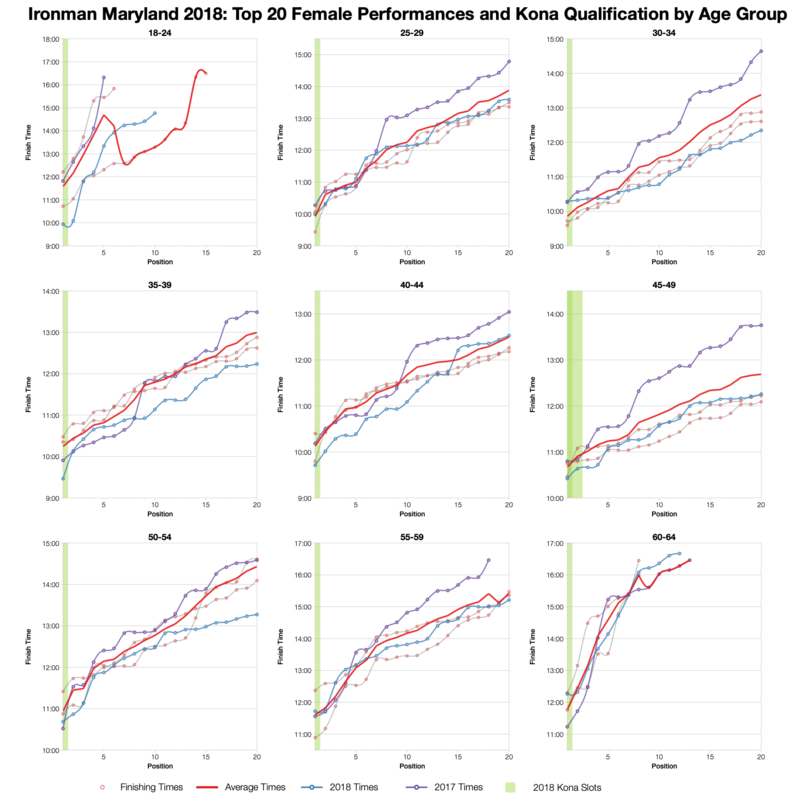 Allowing for problems with the 2015 and 2016 data (the 2015 race had a last minute date change which saw a huge drop off in competitors and the high DNF/DNF rate) this years race looks to be typical for the course and the DNF rate is on the low side. 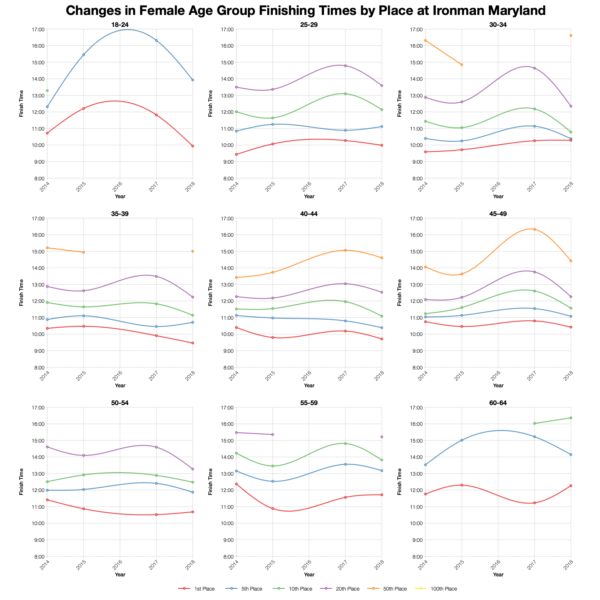 Age group medians follow similar trends to the distributions – maybe a little slower for both bike and run, but not by that much. Most of the athletes are North American with a small mix from elsewhere – slots largely stay in the US too. 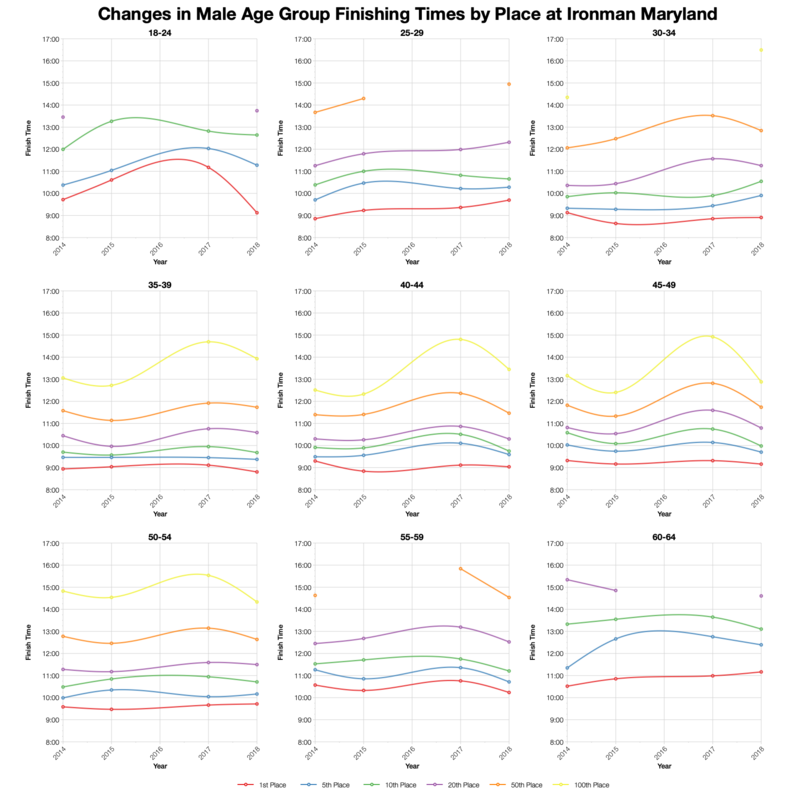 Tracking age group positions over time (skipping 2016) we see that front runner times tend to stay largely unchanged, but further back there’s more variation. As a broad rule this year is a bit quicker than the last, but we aren’t too dissimilar to the years the race has run without problem. 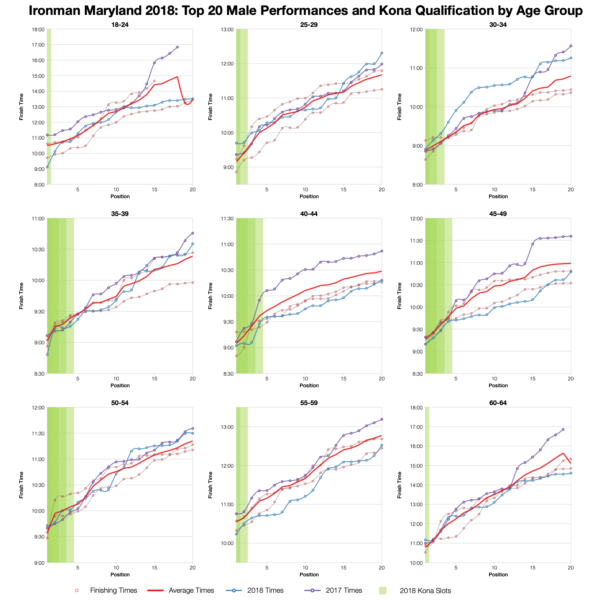 Based on the start numbers I’ve estimated the numbers of slots in each age group – Ironman has adjusted their allocation formula at some point so numbers will definitely vary a little. Roll down will also influence final times. 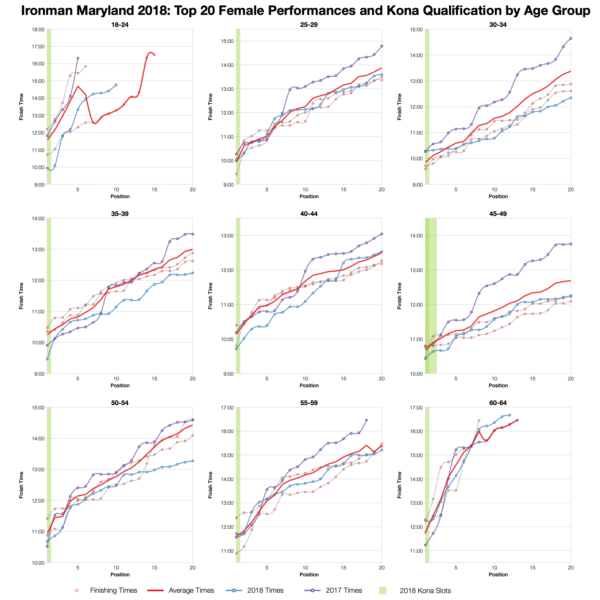 You can compare this with statistics from other races on my Kona qualification page. 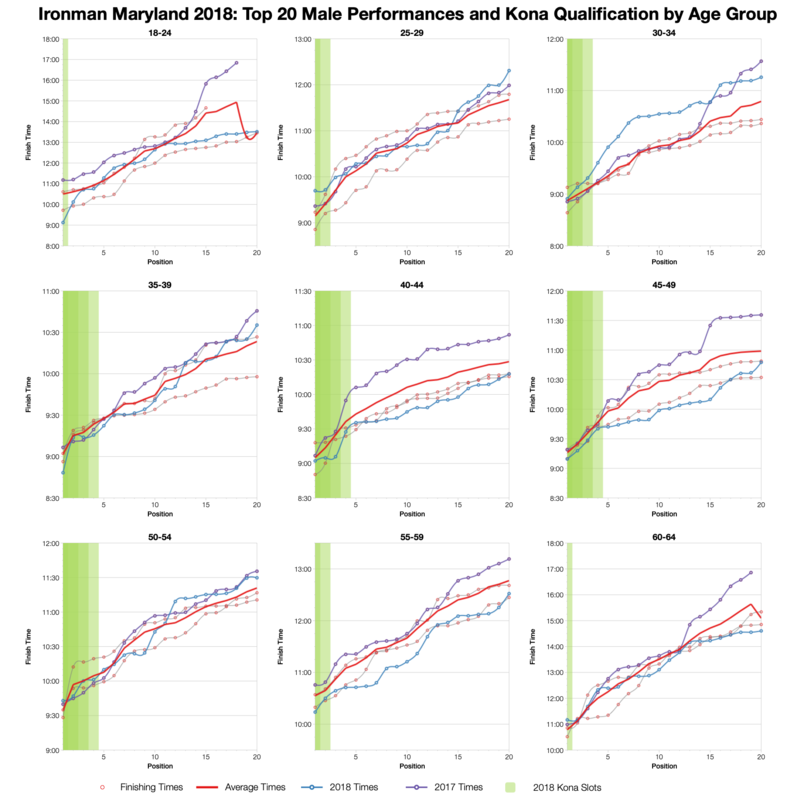 For a lot of age group top twenties the times trend close to the course averages with the very front tending to be a little bit faster. 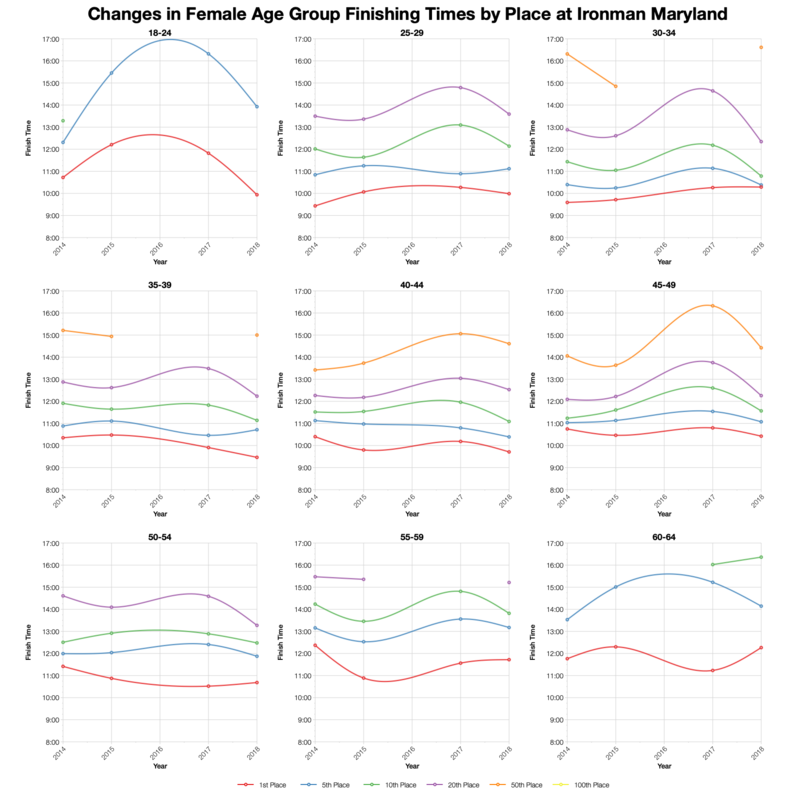 A number of women’s age groups do trend faster overall though, as do one or two male divisions. For the most part this race looks to have followed the pattern of previous years. 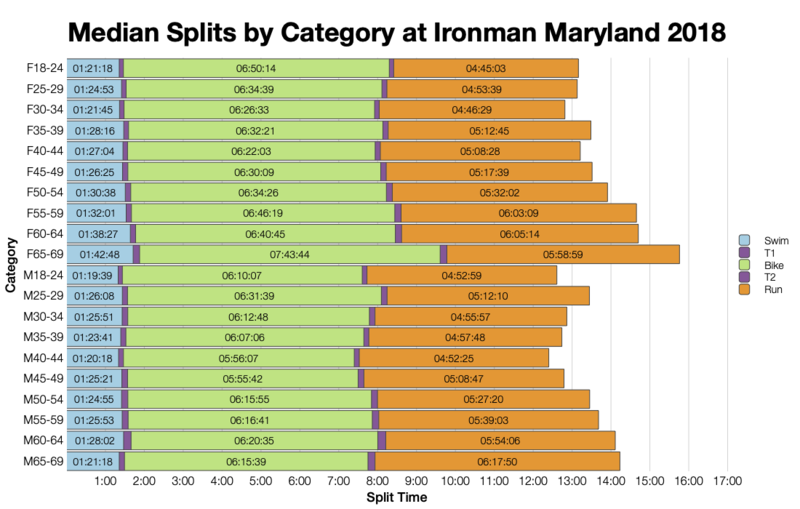 You can access a spreadsheet of the full results from Ironman Maryland 2018 on my Google Drive.